The Asheville FM music department loves reviewing new albums! It’s even more exciting when we can showcase the work of local artists. Spaceman Jones (also known as Big Dave) is a DJ at our station—you can’t get much more local than that. Here’s the review of his self-released album, written by DJ Ben Herring. 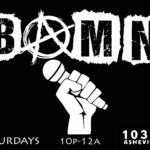 Asheville FM’s own Big Dave and local favorite RBTS WIN have released the collaborative banger of the summer! The psychedelic electronics of RBTS WIN pair perfectly with Dave’s rhymes about self preservation and herb. “Cut the Grits Off” has a bump to it with some psychedelic keys and guitar swirls. “My City Has Lights” is the summertime, laid-back banger you’ve been waiting for; the ethereal cooing in the background lifts Dave’s rhymes to the heavens through a kaleidoscopic lens, with rhymes about modern-day slave labor, mistrust of the government, and hard work. Roll down the windows, turn the stereo up loud, and roll slow. “What You Want” has some cool harp samples adding to the relaxed vibe, while Dave lets loose with quicker spitting than we’ve heard yet. “White Owls” is another fave with some great percussive beats, a guitar lick, and lines like “Illmatic with a southern accent.” You might think it’s crazy that they’re seriously comparing themselves to Illmatic, but the line is delivered so well. The chill vibes are countered by verses about changes in the world, and then balanced by Cliff smoothly delivering the chorus. 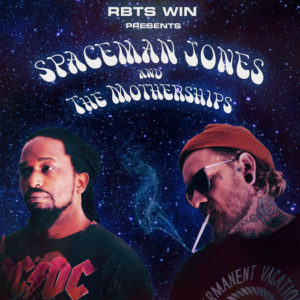 This collaboration between Spaceman Jones and RBTS WIN has all of the elements needed to get the Asheville hip-hop scene some regional and possibly national attention.